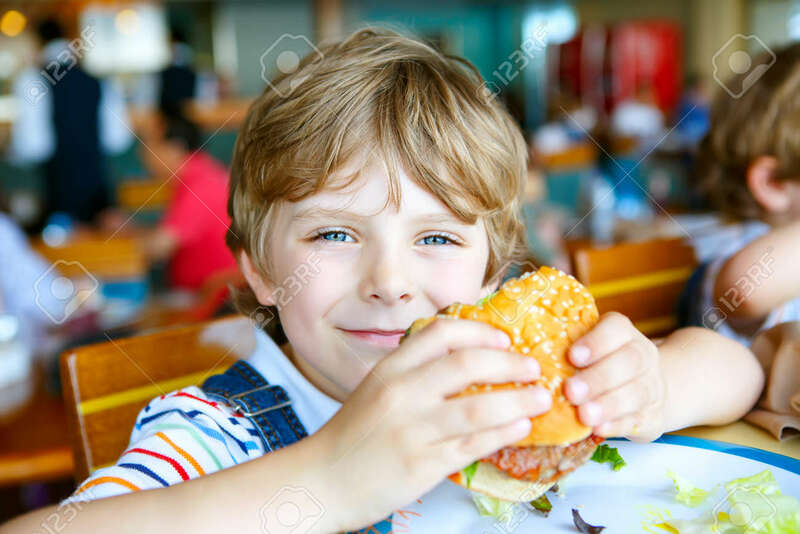 Cute Healthy Preschool Kid Boy Eats Hamburger Sitting In Cafe Outdoors. Happy Child Eating Unhealthy Food In Restaurant. Royalty Free Fotografie A Reklamní Fotografie. Image 65993647.